Lunches! I'm starting to find out a few things about packing lunches. My new lunch-packing motto is borrowed from Bubba Sparxx and the Ying Yang Twins. Get it ripe, get it right, get it tight. (Ahem. Nothing like getting crunk while packing school lunches.) I try to use fresh fruits and veggies. Which I guess would be the 'ripe' part. But most importantly, I get it right, get it tight. You have to fill that lunch box right up to the top. I have been using my smaller bento boxes more often, and I can actually fit a lot of food in there. When you pack it nice and tight things don't slide around and get mixed together, especially if you fill up every open space available. This also keeps the wet foods contained so you don't end up with a soggy sandwich from the juice on your apple slices. We tried Goldfish brand Honey Whole Wheat sandwich bread this week with a stack of cheese hedgehogs and a mozzarella letter 'A' for the letter of the day. On the side are carrot sticks and edamame, and the pink container has apple slices inside. 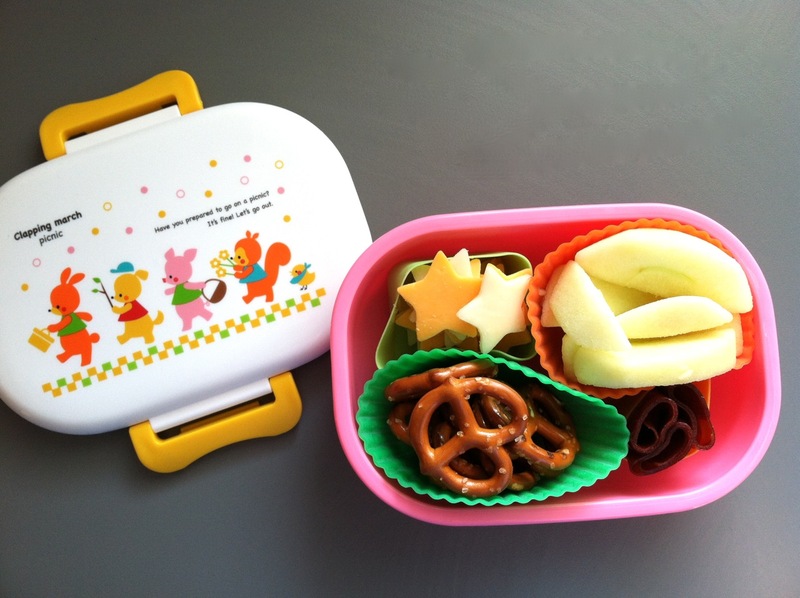 On Wednesday, I packed pretzels, cheese stars, apple slices, fruit leather and yogurt on the side. Thursday's lunch was salami (Lo's favorite) and cheese with Annie's white cheddar bunny crackers, with a squirrel jam sandwich and apples on the side. LOL! I definitely find myself singing rap songs while changing my baby and during bath time. 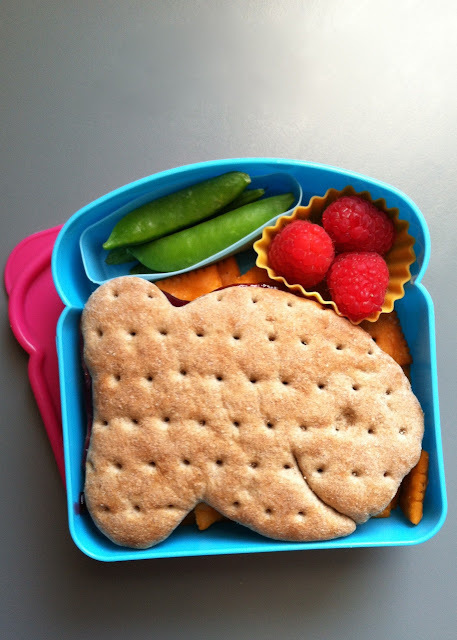 Making these adorable lunches will definitely be on my to do list. I hope I remember to sing this song. They look amazing to me! Is it weird that you make me want kids because I want to make lunch bentos?